Atop a hill the heart of blueberry country in southwest Michigan. A unique 76 acre family owned farm property sitting on all high ground with hardwood woods and 18 acres of producing blueberries. The farm home has 4 bedrms, 1 1/2 full baths, main floor laundry and 1,900 SF of living space. Updated in 2012 it is move-in ready. An elevator was added for handicap accessible use. 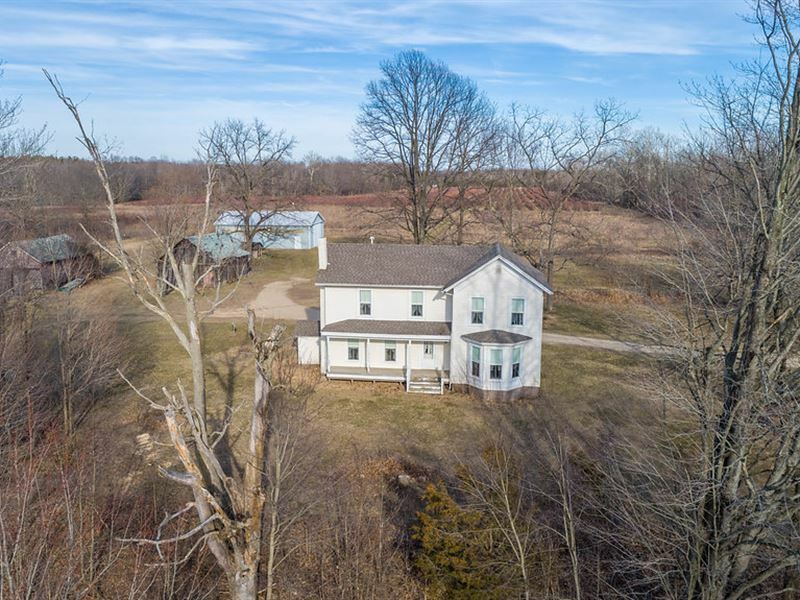 This property is 2,600+ ft deep with rolling hills and frontage on two roads, excellent whitetail deer & turkey hunting too. The pond is filled by a flowing artesian well that supplies the overhead irrigation. Mature blueberry plants are high producing and add outstanding yearly income. Two wood-sided barns are multi-use and a 34 x 48 ft pole barn with concrete floor makes great dry storage. Currently under management.